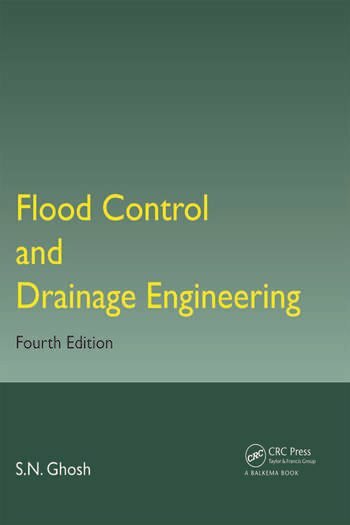 Primarily written as course material on flood control and drainage engineering for advanced students of civil engineering, this new fourth edition is again thoroughly revised. It accommodates recent developments in remote sensing, information technology and GIS technology. New added material deals with flood management due to Tsunami waves, flooding due to dam failure and breaking of embankments, application of dredging technologies, problems of flood forecasting, flood plain prioritization and flood hazard zoning, and engineering measures for flood control. Drainage improvement is tackled, with particular regard to salinity and coastal aquifer management from the ingress of sea water. The book includes design problem-solving and case studies, making it practical and applications-oriented. The subject matter will be of considerable interest to civil engineers, agricultural engineers, architects and town planners, as well as other government and non-government organizations. The author, presently retired, served as professor and head of the Civil Engineering Department at the Indian Institute of Technology (IIT), Kharagpur. He also served the Calcutta Port Trust as Chief Hydraulic Engineer on deputation from IIT.